Whether you’re looking for a new family dentist for dental cleanings and exams, or smile-changing cosmetic dentistry, you’ll find no better care than with Dr. Eaton and her staff. The team at Dr. Eaton’s office provides professional, caring, gentle dentistry – quality dental care you can rely upon to last. Take a look at the many services we offer, visit our tranquil office, and talk with our warm staff, and you’ll surely find a new home for all your dental needs. For further information on any of our services and how they can benefit you, please contact us for a personal consultation. Cosmetic dentistry may include various techniques to make teeth appear whiter, straighter, and more appealing. Be proud of your smile when you have a smile transformation from Dr. Eaton and her staff. Wondering if cosmetic dentistry is for you? Cosmetic dentistry isn’t just for movie stars any more. A bright healthy smile can make you look and feel better. Dr. Eaton utilizes various modern techniques to help produce bright memorable smiles. Together with dental reconstruction such as crowns, the result of cosmetic dentistry can be a complete smile transformation. Tooth Whitening/Bleaching - click here to view our Tooth Whitening brochure. Dr. Eaton and her staff are very experienced in recognizing the symptoms of gingivitis and periodontal disease. If left untreated, periodontal disease can result in tooth loss. Dr. Eaton and her staff perform a comprehensive check for periodontal disease at every dental cleaning, and document findings for future reference. We also check for tumors, abnormal lymph nodes, cysts and oral cancer at each and every dental cleaning. Should periodontal therapy be needed, we offer a variety of non-surgical procedures. For non-complicated dental extractions, Dr. Eaton does perform oral surgery. 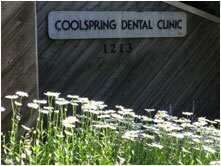 Our experience, training, and continuing education ensure that we provide the best dental care and oral surgery. However, we do not perform all oral surgery procedures. More complicated procedures and wisdom teeth extraction are typically referred to well-qualified area oral surgeons. Dental reconstruction can not only rejuvenate a smile, it can provide renewed life to the patient as well. Dr. Eaton and her staff offer a variety of dental reconstruction procedures including crowns and bridges, full and partial dentures, and full mouth reconstruction. Any of these procedures are excellent solutions to a mouth lacking some or all of its original toothy vibrancy. Restore your smile with a reconstructive procedure that suits your specific needs. Dr. Eaton and her team use modern equipment and materials in all dental reconstruction. We work closely with our dental lab to ensure only the finest and most contemporary materials are used to ensure less plaque accumulation, improved lifespan, and the best esthetics possible. While Dr. Eaton does offer dental implants, she does not actually place the implants; we are, however, actively involved in the planning and restoration process. We work with well-respected dental surgeons to complete dental implant procedures, and offer a variety of dental implants for many types of patients and dental needs. The result: A dramatic change in the quality of life and a complete and total smile transformation. In days past, if you had a tooth with a diseased nerve, you’d probably lose the tooth. Today, endodontics – or root canal therapy - may save that tooth. Dr. Eaton and her staff perform simple root canal treatments in an effort to help save your natural teeth. If the required procedure is more complex, it will be referred to a well-respected area endodontist. When you need emergency dental care, know that we are there for you. For lost fillings, tooth pain, tooth loss, or cracked or broken teeth, Dr. Eaton and her staff can provide caring dentistry on an emergency basis. Simply call our office number to speak with our receptionist and request emergency care. If you are calling after hours, emergency care is available via a paging system. Copyright © Tamara Eaton D.D.S.